Most informative and dynamic Industrial packaging site. We started supplying Bulk Bags and other packaging products into Australian and New Zealand markets back in 1978 from our plant in Sydney and now import directly from overseas, from our ISO-22000 and BRC accredited suppliers which have spent most of the last 25 years making quality products for many countries around the world. 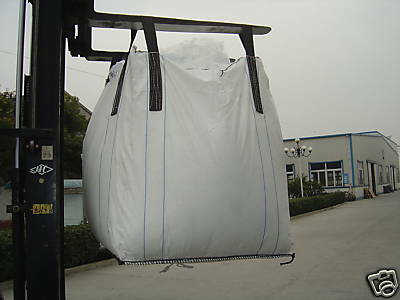 FIBCs (Bulk Bags), in full range, including the complete Antistatic range of Type B, Type C, FRAS and Type D, Builders Bags, Garden Bags etc, which are all made to AS3668, UN and international ISO standards. Cable Hauling Rope, 6mm Parramatta Rope, all types of Jetline support. All kinds of Synthetic three strand ropes, suitable for Anchoring, Banners, Fishing, General Transport and Oyster Basket support. A full range of Double Braided Rope and Super Ozrace Cord for Yatchts, Hot Knives, and Super High Tenacity better than steel Braided UHMWPE Rope suitable for Tug Boats and Winches. Fruit and Vegetable extruded and knitted packaging nets of all kinds and colours. Complete range of PP (Polypropylene) Twines in single and Multi Ends suitable for Food Processing, Recycle Industries, Growing Vegetables and general packing. Complete Oyster Mesh Range and Oyster Baskets with components. Cargo Nets for Utilities and Trailers. We service all markets throughout Australia and New Zealand with the support of our sales team and Distributor network.